Non-compliance with rules and policies is a common practice especially in government departments across Pakistan. As a result of one such non-implementation of the law, the Lahore High Court pronounced orders against companies involved in illegal sale and pricing of LPG (liquefied petroleum gas). High Court sought reply not only from the Oil and Gas Regulatory Authority (OGRA) but also from the Ministry of Petroleum and Natural Resources, Pakistan and Pakistan Petroleum Limited over the non-implementation of standardized/notified prices. 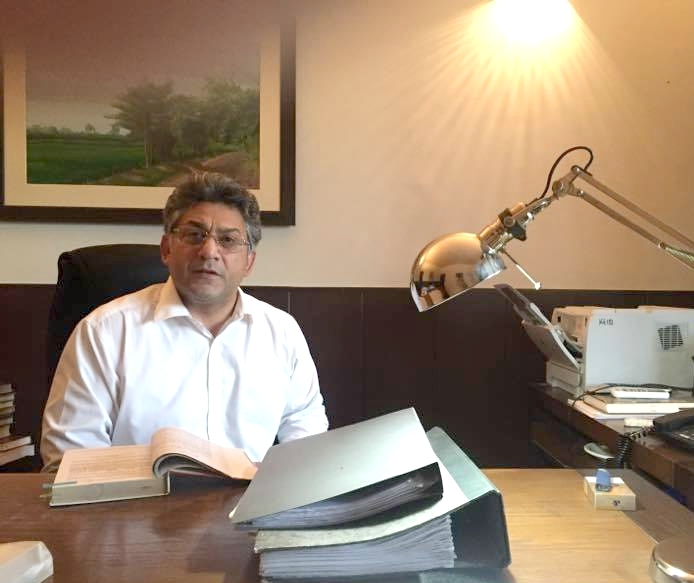 The learned counsel on behalf of the petitioner, Mr. Sardar Qasim Farooq Ali was interviewed to understand the significance of this case for the consumer market of LPG and for the public at large. Q: Since this case revolves around the pricing of LPG, please give us a background of LPG pricing and distribution in Pakistan in connection with laws involved. SQFA: The pricing and distribution of LPG and other natural resources are regulated by certain departments and institutions in Pakistan. Back in 2000, the producers of LPG like PPL, OGDCL etc. being government entities were involved in exploration and production of LPG. Such companies used to set the prices and notify the same to the Ministry of Petroleum and Natural Resources. In 2001, LPG (Production and Distribution) Rules were introduced which laid down the procedure of LPG marketing, profit and price regulations. Then in 2002, OGRA was established by way of OGRA Ordinance 2002. By virtue of this Ordinance, OGRA was made the regulatory authority in the oil and gas sector. Later on, in 2006, the LPG production and distribution policy was introduced. Again in 2011 and 2013 policies were introduced which covered much of the distribution and marketing of LPG. So, the key institutions/departments involved in the regulation of LPG pricing, distribution and marketing in Pakistan are OGRA and the Ministry of Petroleum and Natural Resources. Q: How has the auction of LPG scheduled by Pakistan Petroleum Limited been adverse for the public at large? SQFA: The auction of 400 million tons of LPG was to be conducted on 2nd February 2017 by PPL. This was contrary to law as the per-metric-ton (PMT) price of LPG notified by the government and approved by the Council of Common Interest was Rs. 49,000. However, this auction was to be held at an immensely high price PMT of LPG. Before this particular auction, PPL had auctioned LPG at Rs.70,000 per-metric-ton which is a much higher price than that notified by the government. This not only led to an unjust enrichment of the explorers and distributors of LPG but also ultimately shifted the burden of overpricing onto consumers, thus adversely affecting the general public. Q: Who do you think were the culprits and beneficiaries of this overpricing? SQFA: The onus lies on all the stakeholders who are duty-bound under the law to ensure proper implementation of rules and policies. As the Ministry of Petroleum and Natural Resources had fixed the prices of LPG, it was OGRA’s duty to ensure the proper implementation of the 2016 LPG policy. The honourable High Court also declared that Oil and Gas Regulatory Authority had failed to discharge its duty with respect to the implementation of the 2016 policy and the notification by Ministry of Petroleum and Natural Resources with regard to the pricing of LPG. PPL had been involved in the massive exploitation of LPG since long and this was not the first auction to be conducted by PPL. A glaring proof of PPL’s malpractices is the spot auction of LPG in October 2016 at a highly unreasonable price of Rs. 56,000 PMT as against the notified price of Rs. 37,500 PMT for the month of October. Not only this, on 05.01.2017, LPG was sold for Rs. 70,000 PMT against the notified price of Rs. 49,000 PMT for the month of January. And the sale prices further escalated after the addition of margins of middlemen, taxes and other costs, thus ultimately burdening the consumer. In this auction again, PPL fixed different prices for different producing fields which were much higher than the notified prices, which would burden the ultimate consumers once again with exaggerated prices. It is important to mention here that 70% of the shares of PPL are government-owned and thus it is inevitable to say that the government was a party to this unlawful enrichment and money making. Q: How is OGRA responsible for implementation of the Notification issued by the Ministry of Petroleum and Natural Resources and of the LPG (Production and Distribution) Policy 2016? SQFA: It is a well-known fact that OGRA is a regulatory authority which is to regulate the pricing and distribution of oil and gas. The Oil and Gas Regulatory Authority Ordinance 2002 does not expressly bar the implementation of prices by OGRA after such prices have been duly notified by the Ministry, especially after approval and upon direction of the Council of Common Interests (CCI) which is the highest constitutional body entrusted with the function of policymaking insofar as it relates to hydrocarbons including LPG. Moreover, under Section 7 and 21 of OGRA Ordinance 2002 and Rule 18(2) of LPG (Production and Distribution) Rules 2001, OGRA is duty-bound to ensure the sale of LPG at proper pricing. Q: What difference did the orders of the High Court bring to ordinary customers? SQFA: After the excessive pricing of LPG by PPL and the addition of taxes and margin of middlemen, the price for the ordinary consumer would have been approximately Rs. 1200 per kg which was brought down to Rs. 900 per kg, thus providing relief to the consumer. Q: In all such malpractices and unjust action the sufferers are the common people. What do you suggest with regard to improvements in the functioning of departments like OGRA so that the suffering of common people may be reduced? SQFA: It is true that the ultimate sufferers are the common people. In this particular case as well, the public at large had paid approximately Rs. 1.5 billion in excess of what would have been paid if the prices fixed in pursuance of the CCI decision had been charged. Such a heavy burden could have been avoided had OGRA performed its duties as per the law. LPG producers made unjust profits of Rs. 6 billion and OGRA took no measures against such unlawful enrichment. So basically, the important thing to inculcate in Pakistan is institutional accountability. In my opinion, these departments are run at the whim of the rulers and not as institutions. Efficient, competent and upright people should be appointed and there should be transparency as to the appointment process as well. The views expressed in this article are those of the author and do not necessarily represent the views of CourtingTheLaw.com or any organization with which he or she might be associated.